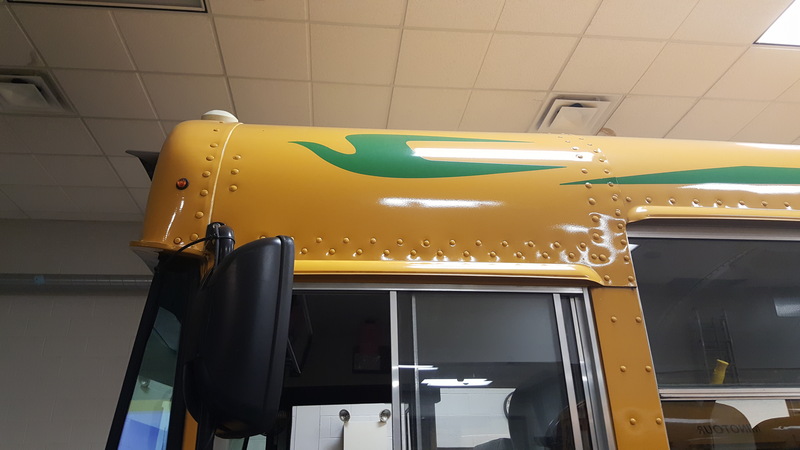 Overview of the BlueBird school bus. 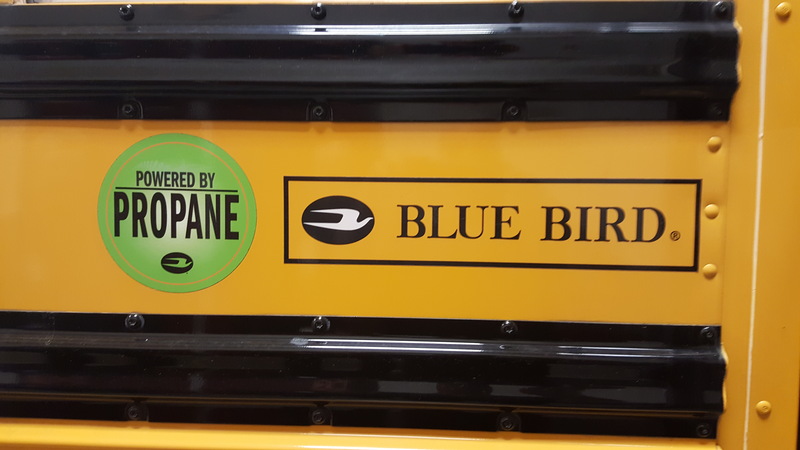 Distinctive “green” BlueBird logo which can be found on the propane-powered buses. 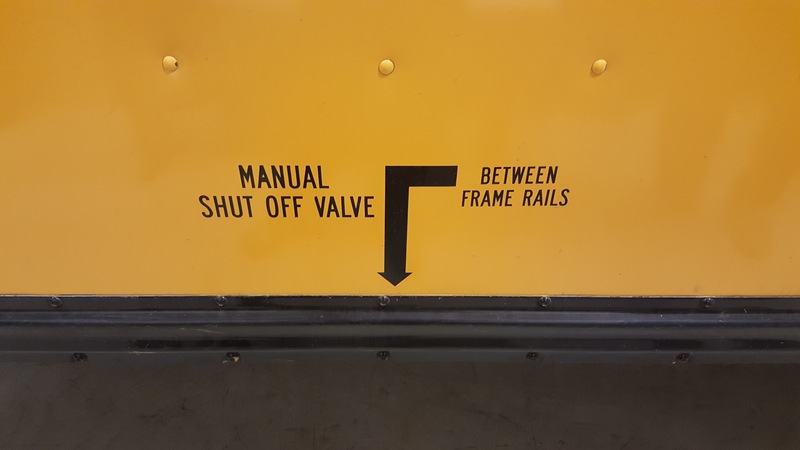 Additional labeling on the bus. On the left is the labeling to locate the manual gas shutoff at the supply cylinders. 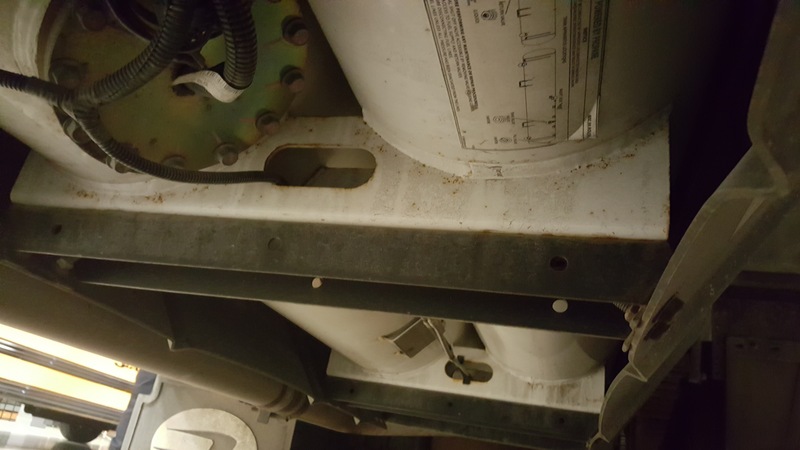 On the right is the fueling port. Closeup of the manual shut off labeling. Picture of the fuel cylinders located between the frame rails behind the rear axle/differential. 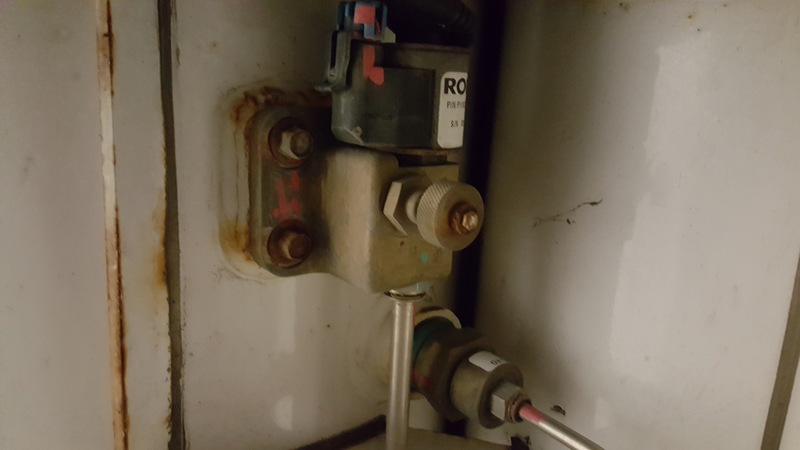 Closeup of manual shut off valve. 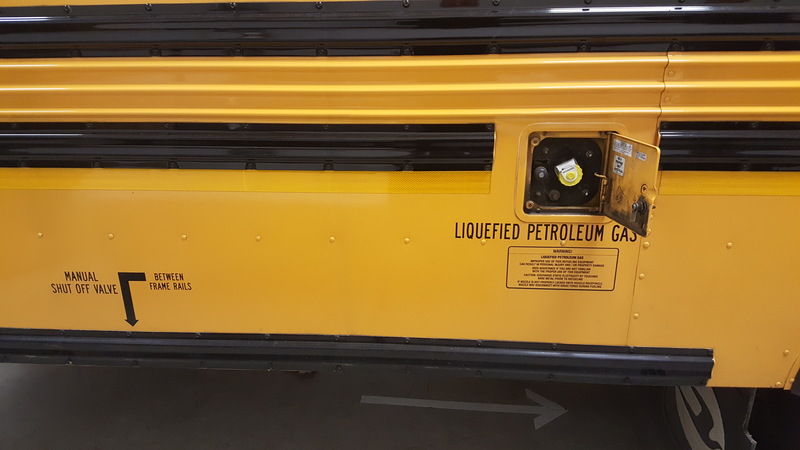 Here is a link to a document from the National Association of State Energy Officials that describes propane-powered vehicles in general. 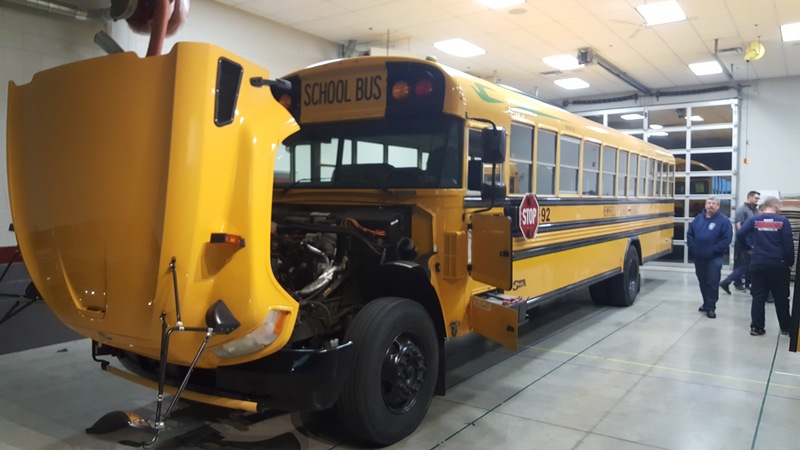 For additional training and information on alternative fuels, check out the National Alternative Fuels Training Consortium, and the National Fire Protection Association. In Pennsylvania, be sure to check out the State Fire Commissioner’s Alternative Energy and Emergency Response programs. REMEMBER… You have to know what is inside when dealing with ANY vehicle today.